The 100 Club is your way of supporting your club for as little as £1.00 per month. It was launched almost 30 years ago to help provide funding for special projects and in that time has also provided kit for the Colts in their early days, funded coaching costs, umpire courses as well as enabled a number of improvements to be made to the club itself. 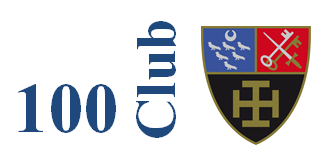 Four times a year the 100 Club holds a draw for three prizes at the end of October, at Christmas, at the Vets Lunch in February and at the End of Season Dinner. For the princely sum of £1.00 per month you get one ticket to participate in each and every draw. The more tickets you subscribe to, the more you can win. Do the maths – for £12 each year you could win £200. In 2016-17, proceeds from the draw will be used to help fund a variety of growth initiatives across the club from Coaching, equipment and improved facilities. In addition the Club needs to raise funds to support the refurbishment of the astro and therefore the 100 Club will become a major contributor to this. In previous years the fund has been used to support many OCHC initiatives but more recently the development of the Colts Section. It’s simple really. Complete one of the links below and a Direct Debit Mandate will be set up to automatically and will debit your account at the last day of each month. How do I know if I have won?